WHAT IS THE EFFECT ON INDIAN ECONOMY OF BREXIT? According to the analysis of bank of America, because of the Brexit route,it may creates a recession risks that could decline IT demand further,it is also hurting the 10-14% revenue growth for the UK businesses of the Indian IT companies in a next FY-17. The most worst thing is that the five large Indian IT companies have an 8-15% revenue disclosure to the British Pound,which is unhedged. In UK, there is the top five Indian companies are operating i.e. Bharti Airtel, HCL Technologies, Emcure Pharma, Apollo Tires and Wockhardt. Apart from the above companies,also top five IT firms are operating in UK. Besides ,the direct negative effect on India based companies and sectors which is also affected on Indian investors to investment. Investors will also be worried over an initial deficit in monsoon rains, fluctuations in rupee value and food prices. In terms of India’s bilateral trade, The Britain ranks 12th and seven in 25 top countries in the world in which India enjoys a trade surplus. As per data, In 2015-16 India's bilateral trade with Britain was worth $14.02 billion, out of which $8.83 billion was in exports and $5.19 was in imports.So,the trade balance was a positive $3,64 billion. The most important is that the Britain is the third largest investor in India with an inward flow of $22.56 billion between April 2000 and September 2015. Same as India is also the third number of investor in Britain. "As an Indian perspective, a Brexit would weaken global growth and lead to a meaningful decline in commodity prices. This is only going to enhance both the relative and absolute appeal of India,"
In the short-term, India would be adversely affected. The Indian markets is the mirror of the global view, primarily in UK and US, both will be negatively affected. Because of the Brexit, the NIFTY and the SENSEX are down by 4%. If the UK leaves,the Indian rupee could be depreciated.In case of Brexit,the rupee could fall to the Rs.68 per US dollar level. 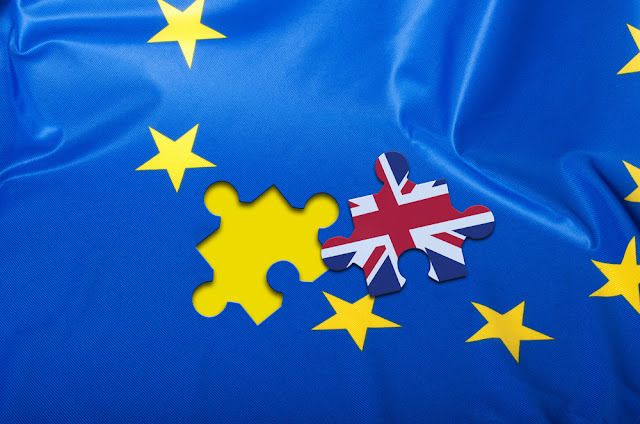 Britain exit from the European Union will have a negative impact on the Indian IT sector and the USD 108-billion.From the analysis,the impact of Brexit on Indian IT sector may be mixed because may be its negative in short term and may be harder to discern in the longer time. Rupee value may decline because of the double effect of fund outflow of foreign and dollar rise. lower price in commodity and crude for a longer duration. Retail petrol prices rise by Rs 4.97 a litre after the Brexit route, while diesel prices are up by Rs 7.72, which is the highest in a year, that is highly affected to the consumers. In case of a Brexit,The domestic equity market will take a major hit, but even that could be a temporary break down on India's long-term rosy picture. The impact on the Indian economy is still not clear, but it may be negative effect on Indian economy as well as for Indian financial and stock market. It also affected on investors negatively. Yet the claims about the ripple effects on India and other economies are not quite concrete yet. Vyas Infotech: WHAT IS THE EFFECT ON INDIAN ECONOMY OF BREXIT?